Click on a link to view a schedule. 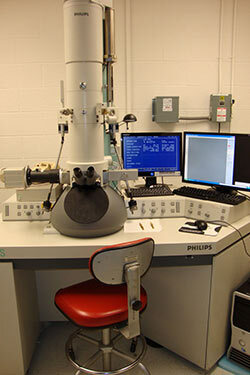 Microscopy Core Facilities (MCF) is a center at Wright State University that offers equipment support in imaging and analysis. 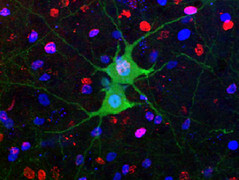 Located on the second floor of the Neuroscience Engineering Collaboration Building, the center is open to research-engaged faculty. Use of the facility will be determined by the director. All users must be trained and approved by core personnel before they will be able to use equipment unsupervised. Scheduling time for equipment will be done via an online calendar. 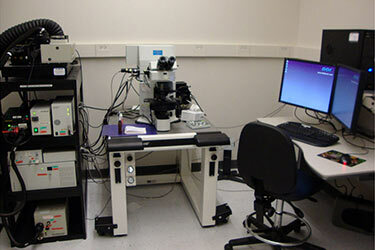 All microscopes are upright and all set up for DIC-IR illumination. MCF is not responsible for any data saved on the network. 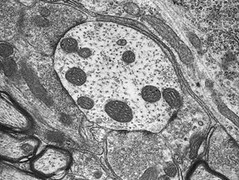 The Phillips 208S is a 100kv transmission electron microscope with excellent contrast and resolution with properly prepared specimens. The instrument, besides producing data-rich film output, is also coupled to AMT xr611 camera that permits high-resolution digital imaging. 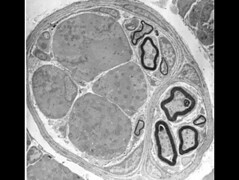 The core provides technical help for the use of the microscope (inserting and withdrawing specimens, processing any EM negatives). Thus, usage of this instrument is always implemented with assistance by authorized personnel. The fee is $20/hour with technical assistance. EM negative usage will be charged separately depending on the level of consumption. The core does not have enough personnel resources to help with specimen preparation. 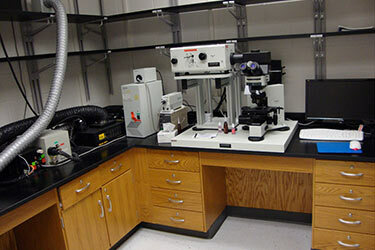 The Histocore is a facility designed to provide equipment support for research faculty in tissue sectioning and staining. 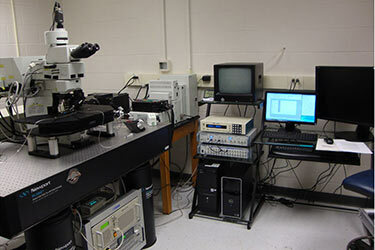 MCF only provides equipment and training on use of the equipment. 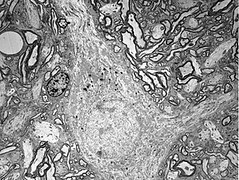 Tissue preparations are to be done by the principal investigator's lab. Other Hardware: Xerox Phaser 6300 Color Laser Printer, HP 1500n Monochrome Laser printer, and Imacon Flextight 848 Digital negative scanner (Review III). The MCF is not responsible for any data saved on the network. Usage of the core will be determined by the director and/or the assistant directors. Training will be completed by the director and/or the assistant directors.